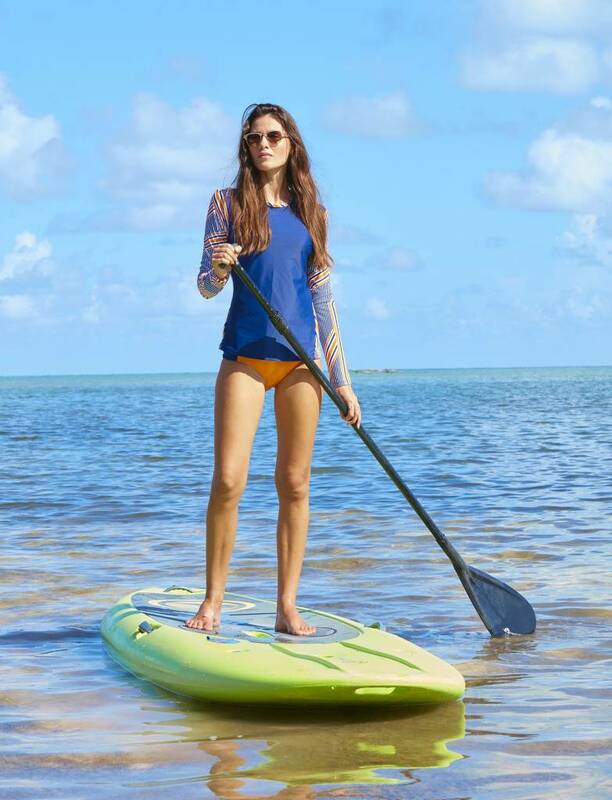 SUP, surf and swim in our new sport inspired zip back rashguard. With a color-block pop of black and our Orange Drive print, this comfortable silhouette makes a big splash. All Cabana Life sun protective clothing provides 50+ UV protection.